My mother in law is an amazing woman. She always makes great food with just the most minimalistic ingredients. 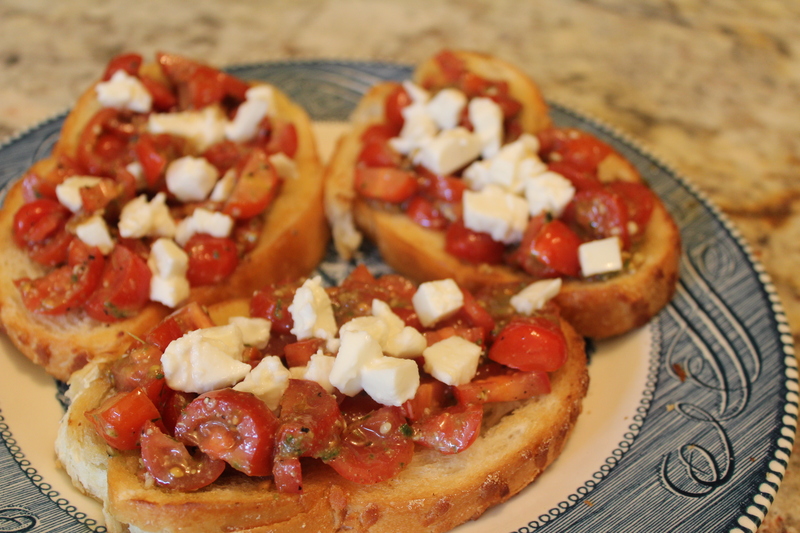 So, when the other day I felt like making Bruchetta, but had no fresh basil in hand, I made an alternative version. I used pesto instead and it came out splendid! 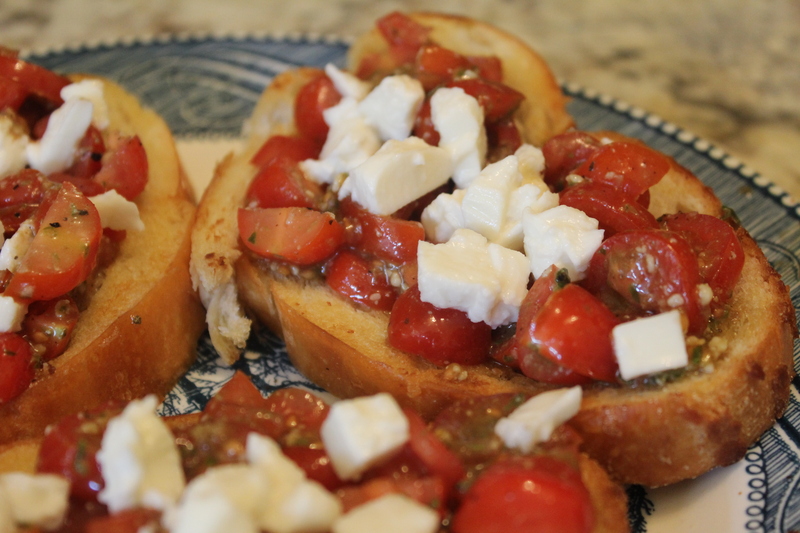 I wish to share with you this twist to Bruchetta. Start with the tomatoes and cut them finely. In a mixing bowl, add all the ingredients (except the mozzarella). You can adjust salt, vinegar, pesto and pepper based on your taste buds. Refrigerate this mixture for later. Note: I didn’t add fresh garlic, since my pesto already had garlic. I didn’t want to make it too garlicky. But if you like more garlic or don’t have garlic in the pesto, then please add finely chopped garlic to the mixture. Next, butter your toast and either toast it in a convection oven or heat it on a pan. Either way it should taste crunchy and not dry. Cut your fresh mozzarella into small cubes. Once you have all the ingredients ready, take out your refrigerated mixture. Spoon enough on the toast to cover it fully, sprinkle fresh mozzarella and sprinkle some more fresh pepper on it. Then gobble it up. It tastes Yummy!